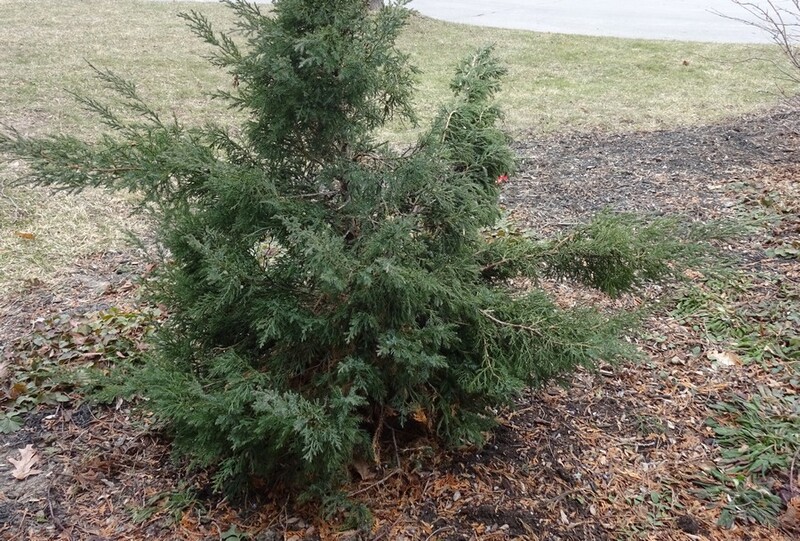 that maybe the baby juniper we planted last year could have been tied with twine a few times round or wrapped in burlap to keep it upright. As it is it’s become a small flopping thing, arms landing north and south. 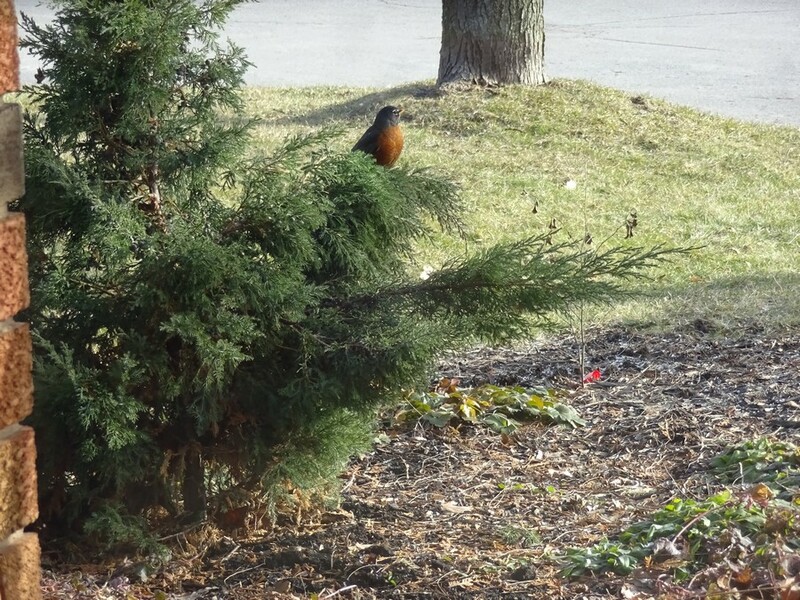 And yes to robins loving the berries. My mother used to make a sort of gin from them (I come from a long line of moonshiners). I wonder if they give birds a sort of high. 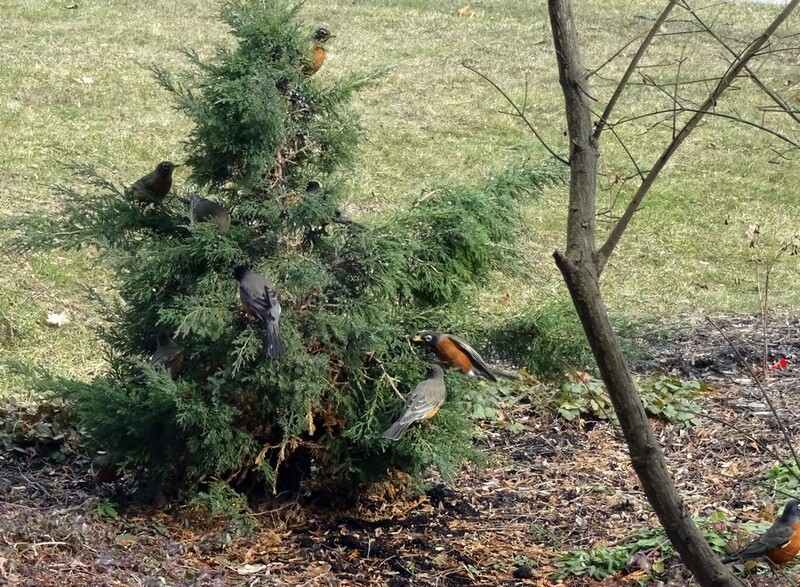 I had no idea robins love junipers. I was beginning to think you must have planted one or two. Or three. 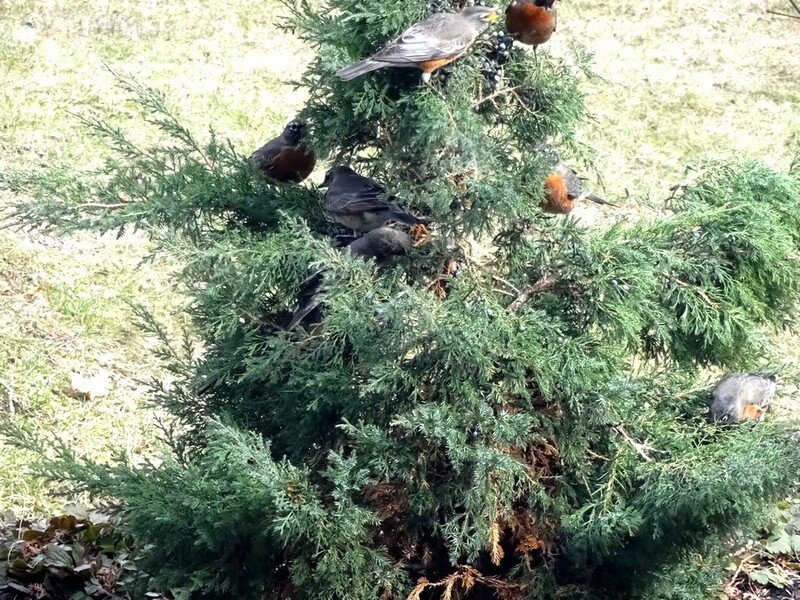 Or used the robin equivalent of catnip. 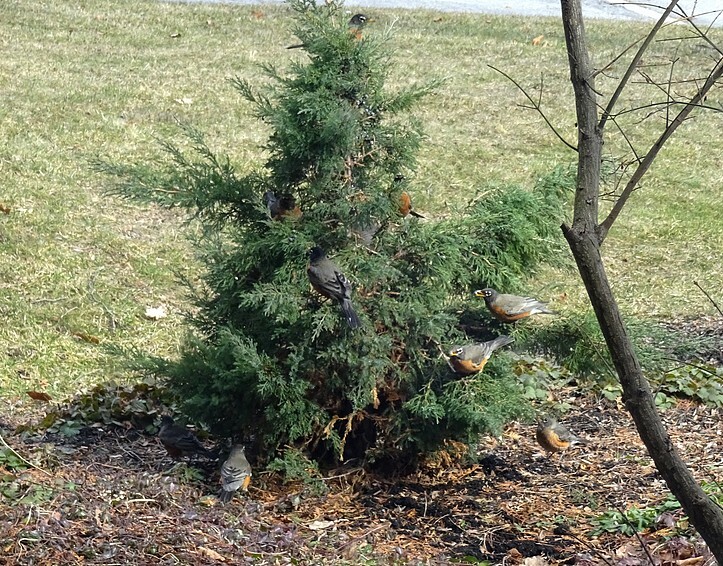 Ah… juniper berries. And yay, for untethered trees!